Who doesn’t like black and gold? 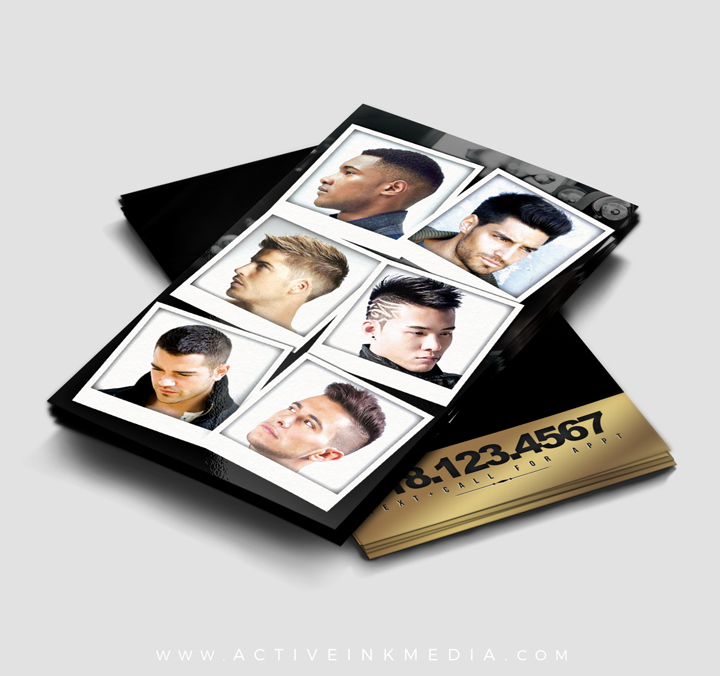 We love this color scheme and we hope all barbers love it too. 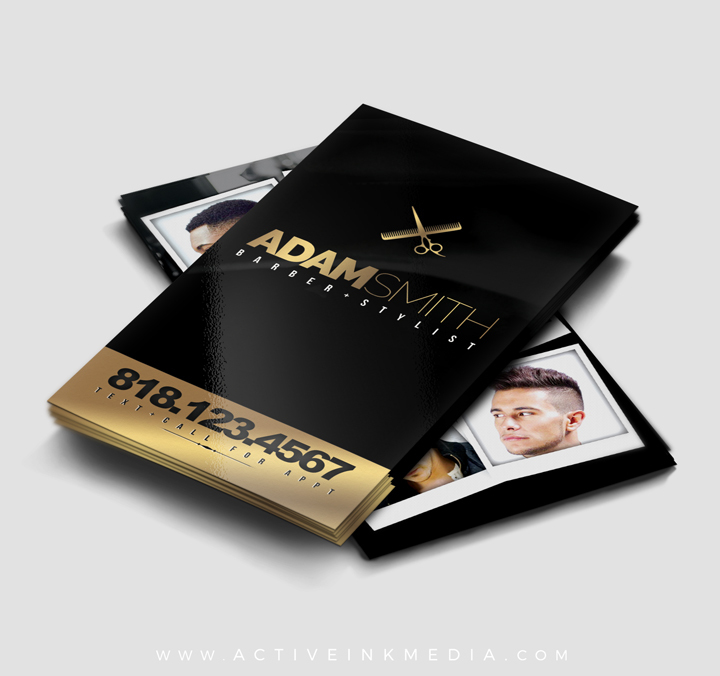 These gold and black barber business cards are sure to make an impression. Have a logo you’d like to add to the barber design? We’d love to add it for you. 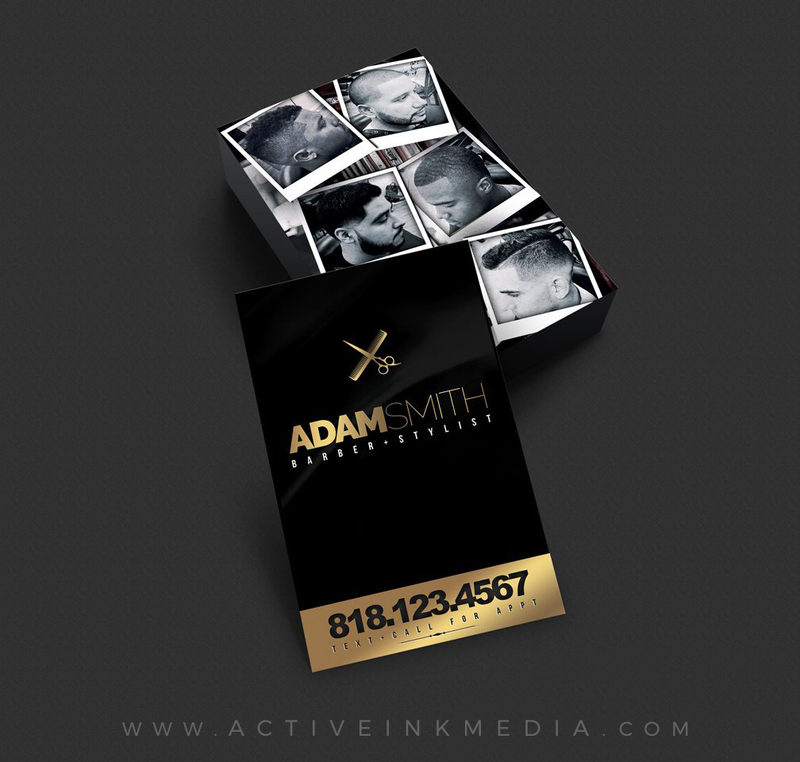 Client photos, social media info, promo’s we’ll add it for you thus making our design work for you!